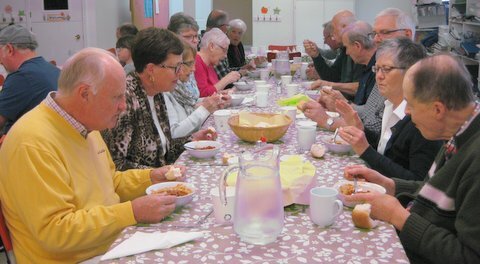 The Men's Club are known for their famous chili suppers, a fundraiser enjoyed by many in the congregation. 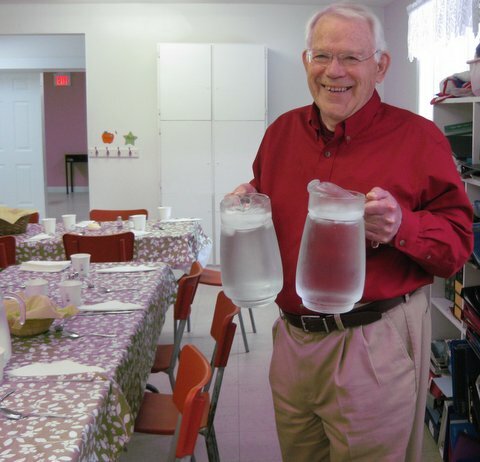 The New Maryland United Church Men's Club held a Chili Supper fundraiser on April 5th, 2017, complete with entertaining storyteller Rod Campbell. The proceeds from the free will offering was given to the Outreach Committee in support of the Tupling family. Guests enjoy the chill supper put on by the Men's Club. 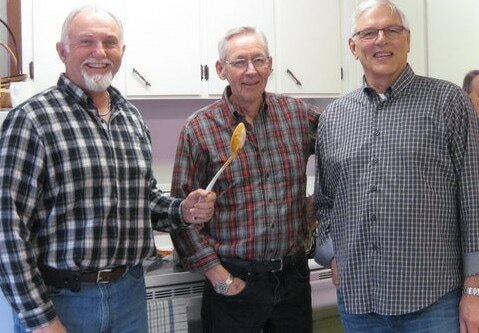 Men's Club members Keith Ball, Doug Watson and Dave Ward get ready to serve up the chili supper. 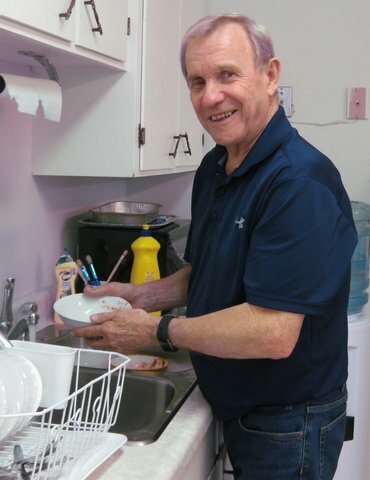 Lloyd Penney helps with cleanup after the chili supper. 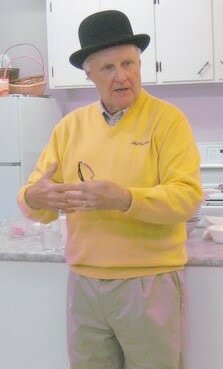 Rod Campbell entertains the guests at the chili supper. Bob Watson prepares the tables for the chili supper. 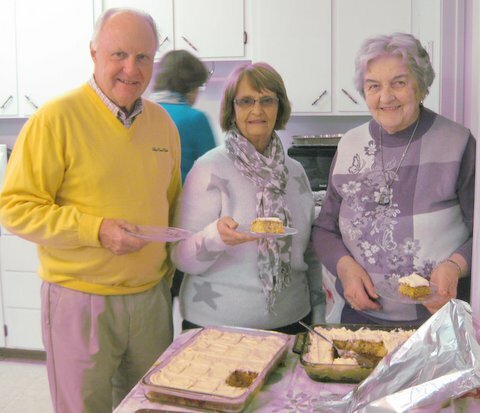 Rod Campbell, Sheila Penney and Maudie Boyle get ready to enjoy a sweet at the chill supper.